Large French demijohn bottle. 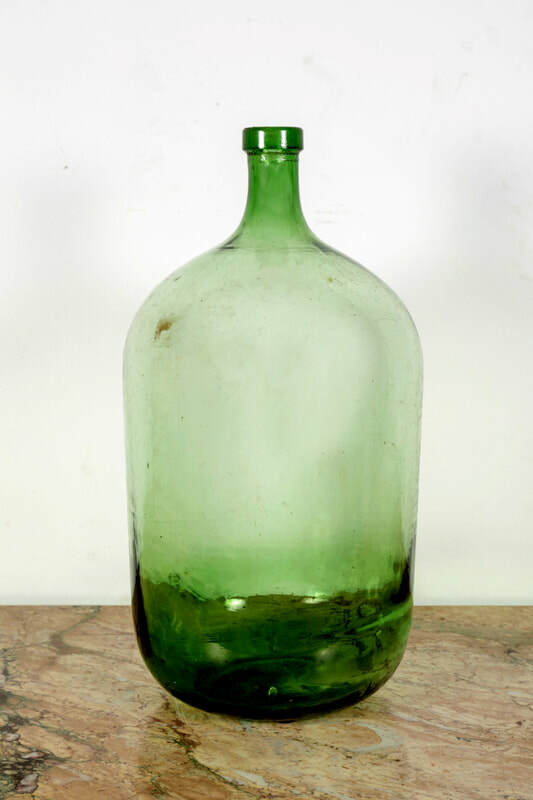 Originally used for storing wine and spirits, demijohns were in wide use from the 1700s to the early 1900s. 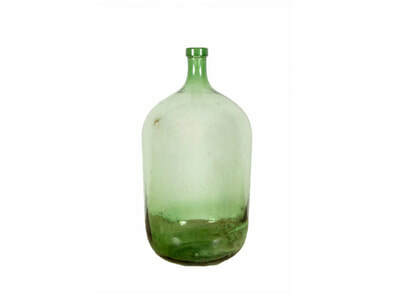 Today, they can be used as decorative accessories anywhere in the home, or re-purposed into lamps. 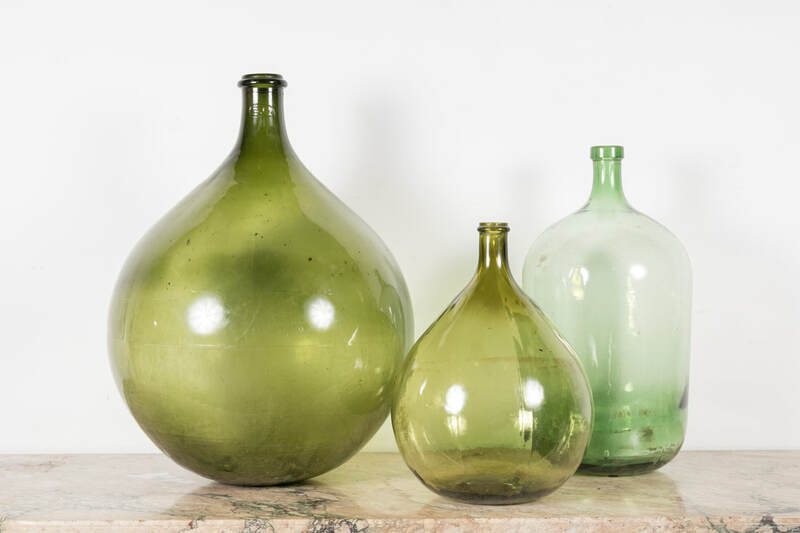 ​Grouped together, these generously sized bottles make a striking centerpiece and add a bit of Country French charm to your home. The term demijohn or Dame-Jeanne as it's known in France, refers to any glass vessel with a large body and small neck. 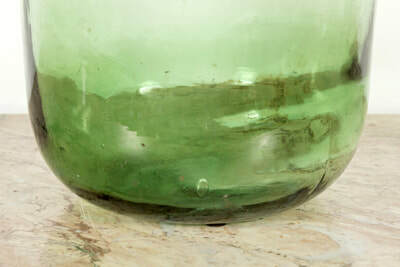 Legend has it that on a stormy night in 1347, the Countess of Provence (Queen Jeanne of Naples) took refuge in the home of a glass blower in Provence. Nervous at the prospect of blowing glass for the Queen, the Provencal glass blower overdid the blowing, creating an enormous bottle with a capacity of ten litres. 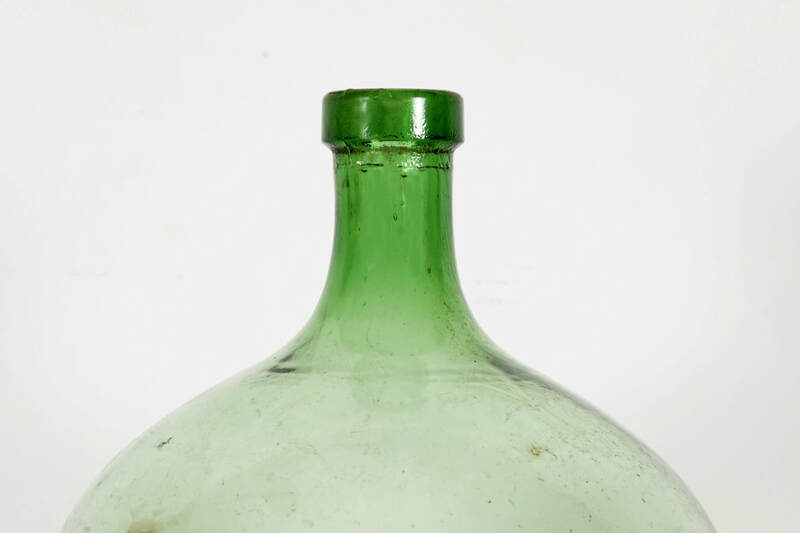 When he wanted to call the bottle "Queen Jeanne," the modest queen suggested calling it "Dame Jeanne" instead. Each of our hand-selected demijohns differ in size, color and patina.. 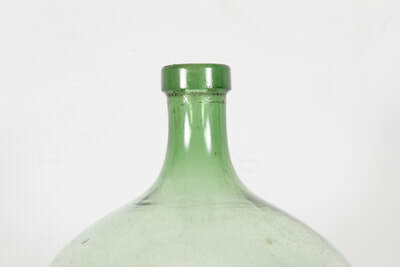 This is for the large light green one that is shown.